The term ‘fly-tipping’ might make you think of cars or vans illegally dumping loads on roadsides or in rivers, but this is not the only way to irresponsibly dispose of IT equipment. Putting such equipment together with general waste that is headed for landfills can also have consequences for the environment, and you should also be careful that your equipment does not end up in developing countries where environmental and workforce protection is lacking. Here are the four biggest reasons why you should always opt for secure IT disposal. When computers reach the end of their serviceable life, they may well hold a mass of sensitive data on their hard drives. Merely reformatting a hard drive is not enough, and there is a chance that someone could recover the waste equipment and comb through the hard drive for useful data such as saved passwords or banking information. As part of the secure IT disposal process, reputable operators will safely wipe hard drives and other storage media before passing it on for reuse or recycling. IT equipment comprises a complex mix of chemicals and rare metals, some of which are very hazardous for the environment. When fly-tipped, or even put in with landfill waste, the various chemicals can leak into the atmosphere and waterways. In contrast, a secure IT disposal will try to reuse equipment where possible, such as by selling reconditioned machines to consumers at low prices. When this is not possible, equipment is sent for recycling, with any unrecyclable materials being at least safely disposed of. Another good reason to favour secure IT disposal over ‘fly-tipping’ practices is the loss of materials that could be reused in new equipment. 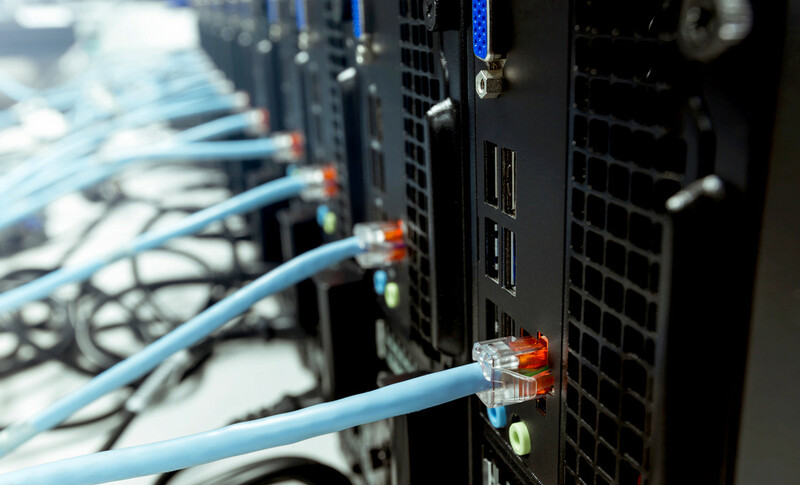 Many of the metals used in IT equipment are rare, and reusing the various materials in old equipment can actually make the production of new equipment cheaper. This ‘circular economy’ also reduces the need for new materials. This is also good for the environment, because the mining and refining of metals and the production of plastics also has an environmental impact. If you’re still unconvinced, depositing waste material on land not licensed to accept it is a serious crime. During 2016-2017, local councils in England issued 56,000 maximum fixed penalties of £400, which are intended to avoid court cases for small-scale abuses. There were also 1,602 prosecutions during the same period. When prosecuted in a magistrate’s court, fly-tippers can be subject to a sentence of up to 12 months imprisonment and a maximum £50,000 fine. A particularly egregious case, however, could be prosecuted in a Crown Court, where sentencing can involve up to five years imprisonment and an unlimited fine. Anyone found guilty may also need to pay compensation and legal costs in addition to any fine. When you look at the potential costs, secure IT disposal makes for good value, and is the right decision.